Over the past century, criminology has evolved as both an applied and increasingly recognized scientific discipline. Although criminology has experienced a number of ideological shifts in focus, the discipline is now poised to effectively combine both of its purposes, namely the ongoing search for the causes of crime and advancing the use of empirical research in policy and practice decisions. One of the most promising best practices in this simultaneous pursuit is researcher and policymaker/practitioner partnerships. This paper traces the “making a difference” movement in criminology since 2000. It begins with an assessment of the rise of and resistance to the making a difference movement, followed by a discussion of some of the challenges and prospects for criminologists in their efforts to apply research to policy and practice through researcher and policymaker/practitioner partnerships. 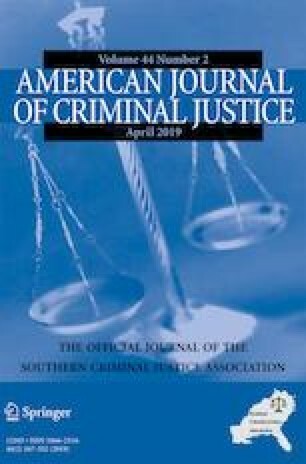 The paper concludes with discussion of the future potential of researcher and policymaker/practitioner partnerships in successfully confronting our major crime and criminal justice system challenges. Prepared for Presentation at the 2018 Southern Criminal Justice Association Conference, Pensacola, FL. University of Louisville Research Fdn., Inc.
Criminal Justice Researcher-Practitioner Fellowship Placement Program: Determining the Timing of Parole Discharge Based on the Concept of "Redemption"
Florida State University and Florida Department of Juvenile Justice Researcher-Practitioner Partnership Proposal to enhance evidence-based juvenile justice research and policy. The Medical College of Wisconsin, Inc.
National Institute of Justice (2018). Projects funded by NIJ Awards. https://nij.gov/funding/awards. Accessed 12 June 2018.